Τhe Museum of Photography, Thessaloniki since December 2001 is seated at Warehouse A, at the Port of Thessaloniki. Warehouse A is a two-story warehouse and covers 1000 square meters. The architectural designs were by Eli Modiano and are typical of the style which prevailed for industrial buildings in Europe in the late 19th and the beginning of the 20th century. The discussion concerning the connection of the port with the city of Thessaloniki, which was considered to be a common place for all ports of Europe and Northern America, was initiated in the 1980’s after the partial concession of some of the warehouses for the organization of cultural events (such as the Biennale for Young Artists of the Mediterranean, municipal exhibitions and other events. ) The east side of the port, with seven buildings was restored and is now part of the urban landscape of Thessaloniki. The port of Thessaloniki, as we see it today, was built gradually. 1904: These works are completed by the Construction Company of the port (supervised by Edm. Bartissol). 1910: The actual warehouse A was built along with the Customs building. Mid-war period: Many warehouses are built, especially on Pier A, which expanded towards the west. 1921: The first revised blueprint by Hebrard foresaw the expansion of the port towards the west, something which was continuously done until the construction of pier 6. 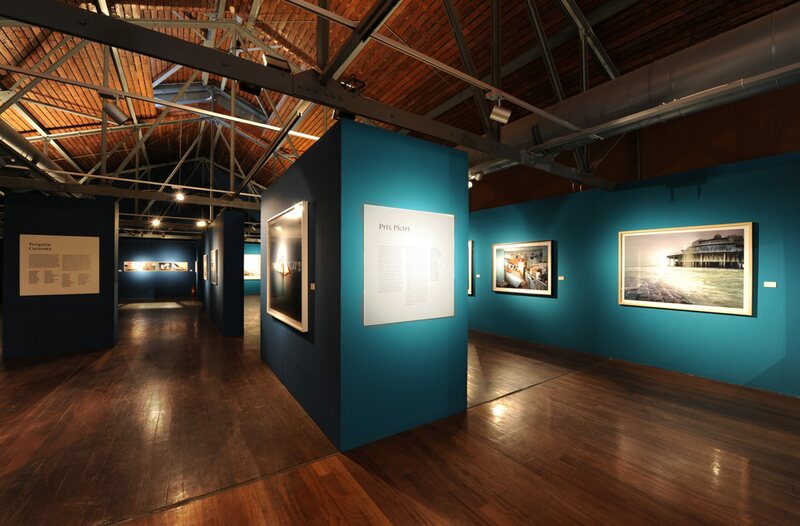 The Museum of Photography, Thessaloniki upgraded its exhibition space by becoming part of the Operational Program “Culture”, of the European Union. The works in the exhibition space were gradually realized and the main hall was closed to the public for 100 days in 2007 and for 70 days in 2008. A large exhibition space, a library, an interactive information point, a bookstore: all these departments are interlinked with the modern functions of the Museum and were the elements that constituted the architectural design.